The Rollins School of Public Health at Emory University has been chosen to serve as one of five regional technical assistance centers for the Hurricane Response Hub (HRH) initiative led by the National Network of Public Health Institutes (NNPHI). Funded by the Centers for Disease Control and Prevention (CDC), this national program is designed to enhance disaster-related surveillance and environmental and occupational health recovery efforts in areas impacted by Hurricanes Harvey, Irma, and Maria by building disaster-related public health workforce capacity. 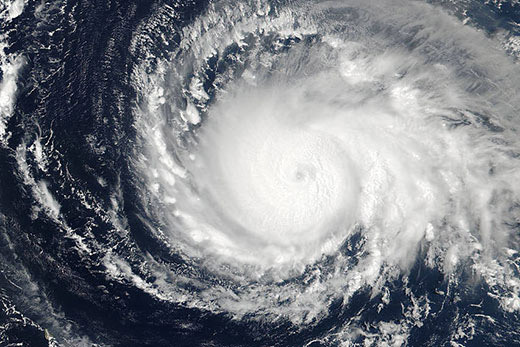 The Rollins School of Public Health will serve as the coordinating body of the Georgia Hurricane Response Hub Technical Assistance Center, leading public health workforce capacity building activities in disaster-related surveillance, environmental, and occupational health needs. The Hub will operate in close partnership with the Georgia Department of Public Health (GDPH) and the Georgia Hospital Association (GHA). “We are enthusiastic about bringing together the leading public health and healthcare preparedness professionals in Georgia to enhance storm resilience capacity in the state. I’m especially pleased that our Hub will benefit from the expertise and experience of key staff from our partners, including Scott Minarcine, Director of the Public Health Emergency Preparedness Program at DPH; Kelly H. Nadeau, Director of the Healthcare Preparedness Program at DPH; and Martha Harrell, Vice President of Educational Services at GHA,” explains Melissa (Moose) Alperin, Director of the Georgia Hurricane Response Hub Technical Assistance Center. The 2017 hurricane season was considered "extremely active" with 17 named storms, 10 hurricanes, and six major hurricanes, causing more than $200 billion in damage nationwide. Recovery efforts from Hurricane Michael are ongoing, and many organizations still need assistance to ensure disaster-related environmental and occupational health best practices are applied to their work. The training and resources developed through this initiative will help health departments, public health institutes, emergency management, law enforcement, health care providers, government entities, and other organizations build workforce capacity and institutional knowledge that improves disaster-related recovery in the future.